Our Agreement and Disclaimer. The legalese necessary for anyone to conduct business. Our Returns Policy and procedure for products you purchased. Our Terms of payment policy for products and services. 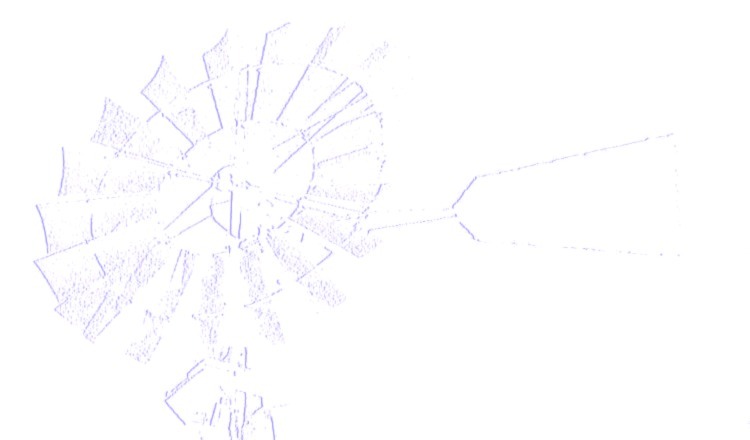 Finished reading?, this link will return you to an index page. 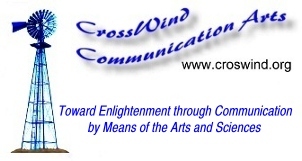 CrossWind Communication Arts, llc (referred to as CWCA) makes every reasonable effort to provide the highest quality products and services always working to improve them. We care about our customers. Don’t hesitate to contact us. Your use of our website and/or ordering of our products and services constitutes your acceptance of our terms and policies. CWCA may amend the policies from time to time. When we provide services, we work as independent contractors, discussing the tasks, providing estimates and reaching an agreement with you prior to any commitment. You may have a copy of what is agreed upon. All products and services provided by CWCA are provided as-is without warranty of any kind, express or implied. All sales are final. CWCA specifically disclaims any implied warranties of merchantability and fitness for a particular purpose. The entire risk arising out of the use of the website, products and services of CWCA remains with the client. In no event shall CWCA be liable for any direct, consequential, incidental, special, punitive or other damages whatsoever (including, without limitation, damages for loss of business profits, business interruption or loss of business information, personal time or computer data), even if CWCA has been advised of the possibility of such damages. Presentation to the client of the products and services shall constitute client agreement to the entirety of the policies, warranty and liability limitations and disclaimer mentioned herein. Ordering and/or use of CWCA products/services constitutes acceptance by the consumer that CWCA, its affiliates and authors shall have neither liability nor responsibility to any person or entity with respect to any loss or damage caused or alleged to have been caused, directly or indirectly by the contents of or by the use of CWCA products or other CWCA materials. CWCA reserves the right to refuse service to anyone, as well as the right to reject/remove any and all material of which we don’t approve. Prices and availability are kept as reasonable as possible for as long as possible, but are subject to change without notice. Any/all claims against CWCA products & services must be made within 30 days of invoice or delivery as determined by CWCA. In addition, while we deem them worthwhile, others’ sites we link to and that link to us are beyond our control and we cannot accept any responsibility for their legality, honesty, or any content they may offer. If you do not wish to abide by our policies, do not do business with CWCA. However, we hope you will wish to purchase and enjoy our products and services. Products that are defective in manufacture or are not the correct items requested on the order form may be returned within 30 days of shipment for replacement. The customer is responsible for returning the product to CWCA along with the original or a copy of the itemized order/receipt (please circle the item being returned on the order/receipt). CWCA will send a replacement, pay for shipping it, and provide a refund of our standard shipping fee to the customer for shipping the product back to CWCA. If the customer wishes to return a product for a refund or replacement, the customer must contact CWCA and receive authorization and send the return within 30 days of CWCA’s shipment. To qualify for a replacement or refund on a non-defective product, the customer must pack the item(s) carefully when sending and it must arrive at CWCA promptly and in good resalable (unused) condition. Refunds exclude shipping and handling fees and, at the discretion of CWCA, may be in the form of a CWCA check or credit card refund. CWCA products damaged in transit are not the responsibility of CWCA. Please make a claim to the shipping carrier. If the carrier is not responsive, contact CWCA for help. Notice of shortage, damage, or non-receipt must be made within 30 days of ordering. On-line and catalog ordered products are shipped promptly as possible upon receipt of payment (you will be notified if shipping is delayed by more than a few days), other products and services ordered are Net 30 days. Payment to be by cash, check or money order in U.S. dollars drawn on a U.S. bank. Visa or Mastercard may be accepted. Balances over 30 days after invoice date subject to $40.00 per month rebill fee and over 60 days will be subject to collection. Dishonored checks and money orders subject to $40.00 fee. The first meeting for potential clients, up to one-half hour, is free. Subsequent billable service hours, as CWCA deems appropriate, are $40.00 per hour or fraction thereof. Everyone should be (and we are) very careful about the information they give out, gather, and keep about anyone. Privacy is a complex issue. Your privacy is extremely important to us. Please read the topics below to understand our policy and contact us if you have any questions, concerns, or suggestions. We keep our web site non-intrusive. We don't put spyware on your hard drive and we have no intention of doing anything that would change the settings of, or cause damage to your computer. If you use our secure (encrypted) server, there will be a temporary 'cookie' (a tiny file) put on your computer during the ordering just to calculate it accurately. Any information we get from you, you are providing and aware of. Examples are; using our contact links to send e-mail to us gives us your 'return e-mail address' since that is part of any e-mail. Also, using our on-line order form sends us the information you key in which is needed to process your order, along with the name of the Internet Service Provider you use (just the name of the company you connect through). While we DO want feedback and communication from you as to what you think of our site, products, and services and how we can improve them, we don't collect or want any uneeded info about you. What little information we do gather about you, WE WILL NOT GIVE OR SELL TO OTHERS. We might occasionally contact you for information needed to complete your order, or with a special opportunity. Of course, if you wish, you can ask us and we will remove you from our e-mail list. No applications, services or surveys on this web site seek to determine or verify the age of site visitors. Consequently, visitors should be aware that the collection of personal information requested from or volunteered by minors online or by E-mail will be treated in the same manner as information given by an adult, and may, as prescribed by applicable laws, be subject to public access. We have taken many steps to minimize data access and vulnerability. We don't keep information from or about our clients on our domain server (the computer that has our web pages). The one possible exception might be, if someone sends us an impressive endorsement, or important technical or artistic suggestion, we might, only with their permission, mention their name on our site to give them credit. We keep information you give us on a separate computer at a different location and it isolates itself from the internet except for short random periods of data transfer. We use special security when we connect to the internet. We use a special Secure Server for orders you make on our web site. It utilizes Secure Sockets Layer (SSL) 128 bit encryption. You should see clear indications on your browser (usually a small padlock symbol at the bottom of the window).